We’d love your help. 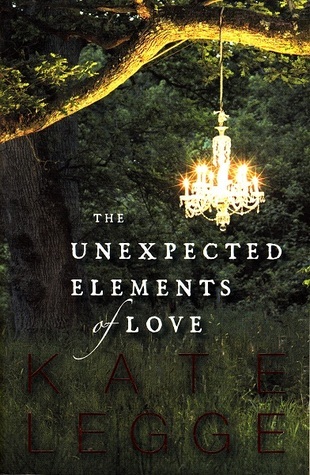 Let us know what’s wrong with this preview of The Unexpected Elements Of Love by Kate Legge. Janet is a TV weather presenter. Sometimes she'll admit to liking the adrenalin and modest celebrity of the nightly news. Other times she wonders if her job justifies the time away from family - after all, she's hardly curing cancer. But now the weather seems to be invading her home. Her young son Harry, is increasingly terrified by storms and endlessly distracted at school Janet is a TV weather presenter. Sometimes she'll admit to liking the adrenalin and modest celebrity of the nightly news. Other times she wonders if her job justifies the time away from family - after all, she's hardly curing cancer. But now the weather seems to be invading her home. Her young son Harry, is increasingly terrified by storms and endlessly distracted at school: everyone but Janet wants to put him on medication. And her husband complains that their marriage is slowly drying up. Like the content of her forecasts, Janet's life feels beyond her control. Roy is scared of the weather, too. An acclaimed sculptor and father of Janet's oldest friend, he is working on the biggest commission of his life. When he feels the first splinterings of dementia he knows the creation will be his last. He's got to make it count. After almost fifty years of devoted marriage, Beth can't bear to witness his deterioration. Is Roy producing a masterpiece or a monstrosity? What can she do in the face of the darkening clouds? To ask other readers questions about The Unexpected Elements Of Love, please sign up. I loved the weather thing... I have my moments with weather, so it really appealed to me. The whole mother/guilt thing is me too. I did not like the neat way the author took the hard choices away by finishing off characters so easily. The struggle and the decision (the processes that you go through to get to that stage) are what I want to read about. Pretty good though. Enjoyable. But I can't quite believe someone could have a full-time job as a weather presenter. Also, I found the ending abrupt, and wondered how the sculpture survived. But overall, I found the story and the characters interesting, and liked the way it was told. This story is about both ends of the spectrum of dementia and a child with ADHD. This novel is written in a jerky, modern style about modern families with modern problems – set against the issue of aging and dementia. Delightful but I doubt it will stay with me. This is the book I'm actually reading at the moment. It's our bookclub book. I'm about a third of the way. A story about love and weather. Unconditional love, unexpected love, inexplicable love. Very readable. Got me thinking - about the people I love.